We&apos;ve known for a while that Microsoft is planning a disc-free, all-digital version of its Xbox One S console, and now we&apos;ve got some leaked images and a handful of specs to pore over as launch day approaches. The new pictures and information, obtained by WinFuture, don&apos;t really bring with them any surprises. 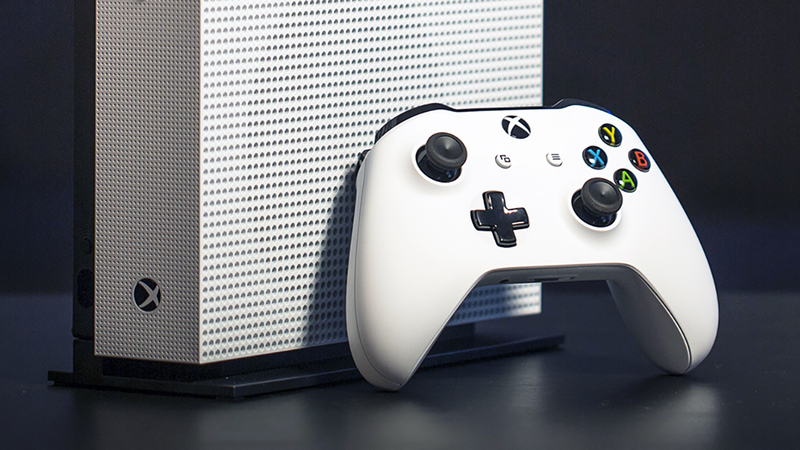 The console looks exactly how you would expect: an Xbox One S without a slot for discs. According to WinFuture&apos;s sources, the console is going to come packing a 1TB hard drive, which should give you enough room to do without physical media. Other tidbits we learn are support for 4K video playback and HDR. The price is apparently set at €229.99 – that&apos;s roughly $260 or £199, though Microsoft is unlikely to apply a direct currency conversion. A starter bundle for the normal Xbox One S typically retails for €299.99, though you can find discounts if you shop around. In other words, we could be looking at a quarter of the price shaved off. That price includes a single controller and three preinstalled games, according to the leak – Minecraft, Sea Of Thieves and Forza Horizon 3. As for a release date, that&apos;s tipped to be April 16 – this coming Tuesday – with the console on sale in Europe from May 7. That all matches up with leaked information previously shared by Windows Central, which has also published mock up images similar to the newly leaked ones. It sounds as though you won&apos;t have long to wait to get your hands on the latest iteration of the Xbox One. As always, as soon as Microsoft makes anything official, we&apos;ll bring you the news here. Are you ready for the big E3 2019 show?